Welcome, AT hikers! Making it to or through the White Mountains is a huge accomplishment. Stop in at the Notch to recuperate, relax, and resupply. 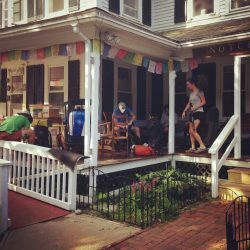 We serve AT hikers from both Kinsman Notch and Franconia Notch and are in an ideal location for slackpacking over Kinsman Ridge. We are located 1.0 miles west of North Woodstock on Rt. 112 (Lost River Road), the same road as the Beaver Brook/Kinsman Ridge trailhead. View the map. From Franconia Notch/Liberty Springs/Flume Visitor’s Center/Rt. 3: We are about 7 miles from the trailhead. Head south on Rt. 3, go through downtown N. Woodstock. From the junction of Rt. 3 and 112 (set of lights in North Woodstock, by Truant’s Tavern and the Imperial Palace chinese restaurant) turn right onto Rt. 112 west. We are 0.9 mi. down 112 W on the right. From Kinsman Notch/Beaver Brook trailhead: We are on the same road – Rt. 112 – about 5 miles east of Kinsman Notch. 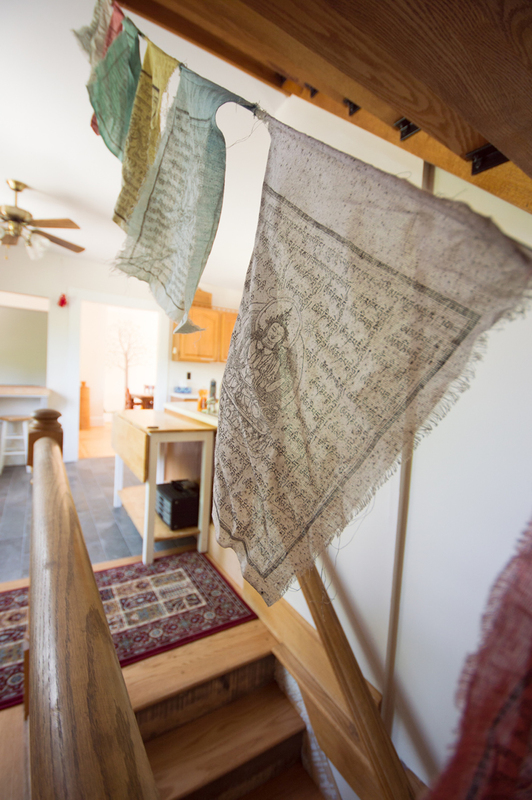 The hostel is a large white farmhouse with multi-colored prayer flags on the porch. 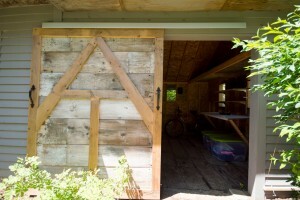 Send mail drops to: c/o The Notch Hostel, 324 Lost River Rd, North Woodstock, NH 03262. Non-guests can send and pick up their mail here at no charge. To request pick up: If on trail, text or call us at 603-348-1483. If at the hostel, sign up on porch whiteboard. Please let us know if you need a ride! Shuttles only run if you request them, so please text us. Free Town/Trailhead shuttle departs at times listed below — meet on porch 5 mins before. Thanks! The Kinsman Range is a great opportunity for a 17.1 mile slack. Free shuttles do not run during weekends in peak season. We live in a major tourist town, complete with our own local taxi service, The Shuttle Connection. Operates 6:30am – 2am daily, best for local trips. 603-745-3140. Approx. $5-6 for ride to/from town, $10 to/from trailheads. 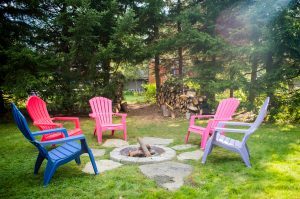 Warning: They charge PER PERSON – can be expensive for large groups. Call ahead if possible as they can run late during busy season, and make sure to call and cancel if you find another ride. Kinsman Ridge: We are in an ideal location for slackpacking over Kinsman Ridge (Kinsman Notch to Franconia Notch and vice versa). We provide slackpack shuttles (free with second night stay) and have a large selection of slackpacks at the hostel for guest use. See our amenities page for info about our camp store, pizza, and ice cream. BIKES AVAILABLE, $5/DAY: We provide bikes to rent for the day with locks and bike lights. 0.75 mi. to Smileys (food), 0.9 mi. to downtown N. Woodstock, 2 mi. to downtown Lincoln. Dogs are welcome at the Notch! Let us know ahead of time so we can save a space for you in the dog bunk room. Check out the Rooms and Rates page for our Dog Policy. 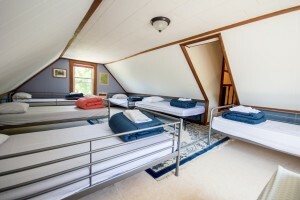 We have a camp store upstairs with cold drinks, ice cream, frozen pizza, snacks, Ramen, etc. Smiley’s is a small market/produce/deli/grocery store, 3/4 mile east on our road (turn left out driveway). Sells bread, eggs, milk, fancy chocolate, meat, cheese, pasta, sauce, Pasta Sides, etc. Cheaper produce than Price Chopper. Open 9-7 daily. ONLY DELIVERY FOOD IN TOWN! BUT GOOD! Famous brewery/restaurant, ask for the Thru Hiker Rye and the Death by Burger. Breakfast, lunch, dinner, bar, live music. Mon – Fri 9:30-12:30 and 1:30-4:30. Sat 9-12. Closed Sundays. Local health food store. Great pre-made meals, too. Largest grocery store in town. Sells beer and wine. Family Dollar: 9am-9pm, next to Price Chopper. Lincoln post office: Next to Family Dollar. 8am-5pm Mon – Fri, 8am-12pm Sat, closed Sun. 115 Main St, Lincoln, NH. Gypsy Cafe (L) – our favorite restaurant. Food from around the world. Large hiker gear shop/outfitter. In same shopping plaza as Aubuchon Hardware. 165 Main St., Lincoln, NH. 9:30am – 5:30 pm Mon – Fri, 9 am – 5:30 pm Sat, 9am-5pm Sun. No hard liquor; beer and wine in moderation. 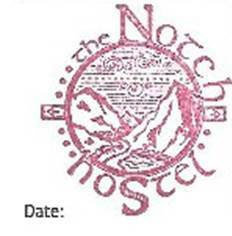 The Notch Hostel is part of the AT Passport Program, so be sure to get your passport stamped when you visit us!